If you read this blog then chances are you are already a mother, but maybe you are not or maybe you have friends who aren't ... well this post is for you (or them). 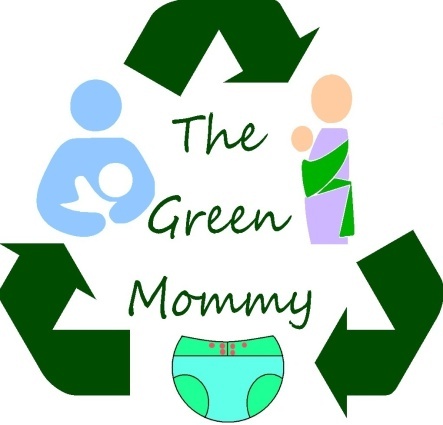 This post is a change from my normal topics but still has a little something to do with being a Green Mommy. So the stick has a plus sign (or two lines) .. anyway it's positive. You are overjoyed! You start telling friends and family, and your husband/significant other. You two jump up and down and kiss and hug. Happiness all around! So then you make an appointment with an OB (or preferably a midwife)... and start the wait... that long wait to birth. In the meantime what do you do, well if you are smart you start learning all you can about parenting, breastfeeding, co sleeping, parenting techniques, diapering, potty training etc etc... head spinning yet? And if you are like most women you start planning your dream nursery and making lists of all the things you will need for baby. Now here is what this post is all about. What to expect? What should you expect or rather (as a lot of women do) demand... of friends and family? The answer is nothing. No one is going to donate money to help you get a birth photographer (because honestly not many people can afford one for themselves let alone pay for someone else to have that honor). No one is going to buy you top dollar baby stuff unless your relatives are filthy rich and in this economy that is probably not the case. What you should do is not expect anything, that way it is a surprise when you do get a few nice items. When I was pregnant we were given only our crib/dresser/changing table set, travel system, toddler bed/crib mattress, and a few small items brand new. The rest all of it was used. 90% of his clothes right up to now have always been second hand. All his toys with the exception of a few from birthdays or Christmas have all been second hand. Even his starter diapers were all second hand. We have made a point to either except used items or buy used items because reusing and re-purposing is always better than buying new. We also then turned around and always paid it forward giving away as much as we got. Our dream nursery, that was hand built, and crafted by me. It took months of hard work but I did it all. Over the years we have added to it, changed things, and had an ever evolving child's room out of what was a nursery. I suppose it just bothers me when I see these first time Mother's to Be talking about how much everyone owes them, or how much they DESERVE, simply for having a baby. It isn't always first timers either. I knew a girl who had an entire pink nursery for her first daughter, bought for her by friends and family (I even gave her a bunch of clothes and a butterfly lamp for it) all brand new things. Then 9 months later she got pregnant with number 2, finds out it is also a girl, and decides that for both girls to use the same stuff would be horrible.... and can not be done... so her friends and family buy her all new stuff this time in purple, because she asked them to. She also would not take anything used because "It's been used by another child". I know this because I offered her a bunch of Bug's old stuff. Sigh. So I guess this more ranty than normal post can be summed up in this. Be grateful for what you do get, do not demand people get you certain things unless they are in your registry, be reasonable with any requests you do have, and most of all do not EXPECT anything. Do what you can for yourself and be happy with what you have. If you want something and you don't have the money to buy it... make it. That has always been my motto and it has served me well. Just Another Gorgeous Fall Day! Harvest Season in Full Swing!